The NYSSFA Southeastern Chapter in conjunction with LHASBO New York held a joint meeting on Thursday January 17. The first session was on "Cooperative Bidding Services" presented by Megan Corey, Purchasing Clerk from DCMO BOCES. The topic was well-received and helped many attendees understand the procurement hurdles we all deal with daily. The second session was "Enhancing the Identity of a Leader" presented by retired Colonel Donna M. Brazil, U.S. Army, Ph. D. Attendees were able to examine the Army's BE-KNOW-DO strategy for developing leaders of character, the difference between the concepts of leader competencies and identity, leader development and potential synergies with the West Point and Army approach, and the value of a leadership philosophy and beginning the process of designing one. In attendance were approximately 40 DOFs, Business Officials and Assistant Superintendents as well as NYSSFA President Paul Rooney. A second joint meeting is being scheduled for late March to encourage and grow this valued partnership. 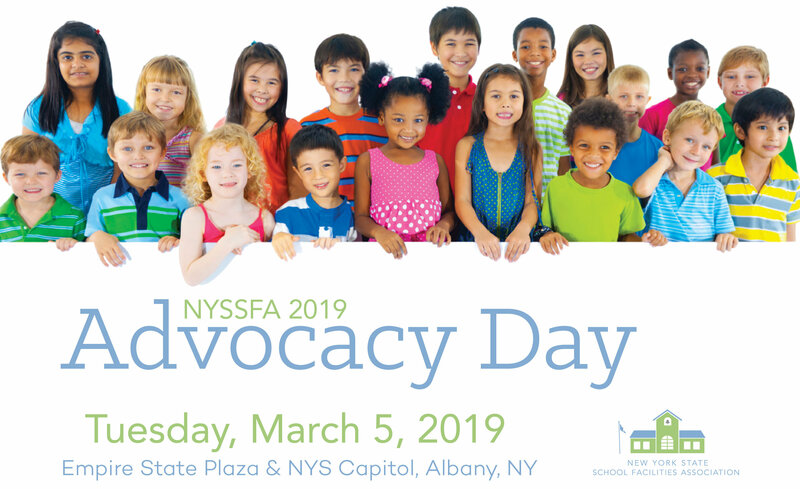 The State Education Department has announced district and school accountability determinations as required by the federal Every Student Succeeds Act (ESSA) and New York’s ESSA plan. State Education Commissioner MaryEllen Elia identified 106 school districts as Target Districts, 245 schools for Comprehensive Support and Improvement and 125 schools for Targeted Support and Improvement. In addition, NYSED identified 26 schools to be newly placed into receivership and 37 schools to be removed from receivership at the end of the 2018-19 school year, including two schools scheduled to close. This will leave 43 schools in receivership at the end of the 2018-19 school year. Citing a desire to continue providing opportunities for student-athletes to play interscholastic sports, the Minerva Central School Board of Education recently approved an all-sports merger with Johnsburg, beginning with the 2019-20 school year. That will mean the end of the Minerva-Newcomb Mountaineers sports merger that has existed since 1993, which leaves Newcomb without a partner. Skip Hults, Superintendent of Schools for Newcomb, said the school board asked Minerva for a one-year extension of the Minerva-Newcomb merger to look into redesigning the sports program, but was turned down. However, Minerva officials deemed the move necessary because of declining enrollments at the two tiny Adirondack schools. Carthage Central School District is reaching out to the community to obtain input to plan for the future. The school district is utilizing the services of Jennifer Patrick, the Executive Director at the Center for Professional Development at Canisius College, to develop a five-year strategic plan at a cost of $30,000 with funding through the School Improvement Grant. During a presentation to the Board of Education Dec. 3, Ms. Patrick said their approach is effective and about engagement. According to board minutes Ms. Patrick said by engaging each other properly, it can establish clarity as to where we, as a district, want to be and in turn improve student performance. “Her years of experience, coupled with research, demonstrate that high-achieving schools are successful because every member of the community/organization is engaged in a process that helps them to articulate specific things they can do to influence the district’s mission, climate and culture,” said Jennifer L. Premo, Assistant Superintendent for Curriculum and Instruction. More School Aid in State Budget, but Is It Enough? The annual two-and-a-half-month do-si-do over how much money the governor and State Legislature should put toward public education in New York has begun. Not only are school districts disappointed by the funding levels proposed by Gov. Andrew Cuomo, but they’re wary about his proposal that would force districts to shift more money to their poorest schools. Cuomo sees it as righting a wrong. Some education stakeholders see it as a pattern of taking away local decision-making. And so goes the yearly dance, which started Tuesday when the governor proposed a $956 million increase in school aid plus a $37 million increase in charter school tuition and facilities reimbursement and Smart Schools Bond Act debt service for a total of a $1 billion increase in education aid.